After the failures of Operations Michael and Georgette to break the British on the Somme and in Flanders, the success of the Second Battle of the Aisne in putting German guns 56 miles from Paris, and the modest success of the Noyon-Montdidier Offensive, General Erich Ludendorff turned back to Champagne and the Marne and tried to build on the success of the Aisne battle. He named his offensive Friedensturm, Peace Assault, which would bring peace through victory. On the right wing, the Seventh German Army under Boehn was tasked with crossing the Marne towards Epernay; on the left, the First Army under Mudra was to advance towards the Marne, encircling Rheims. 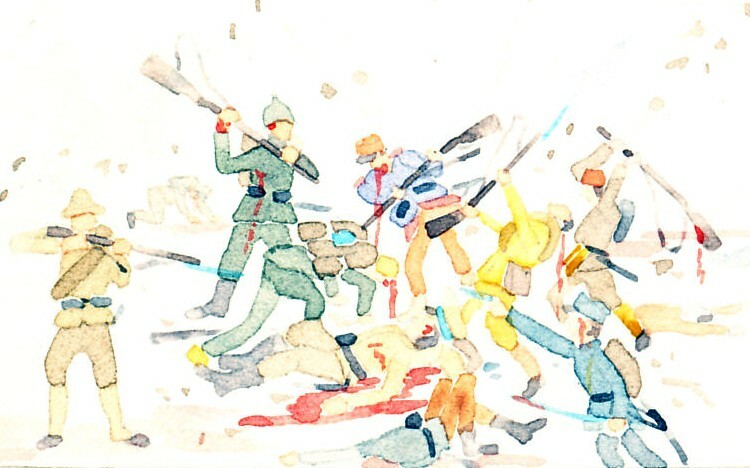 Opposing them were three French armies, the Sixth holding the French left, the Fifth (Buat) in the center, and the Fourth under Gouraud on the Allied right. The American Third Division was incorporated into the French Sixth Army, two Italian divisions into the Fifth. The French had ample warning of the impending attack from prisoners and air reconnaissance. As Ludendorff prepared his offensive, General Ferdinand Foch prepared an Allied counter-attack for July 18. 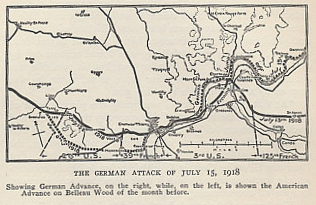 Having the exact time of the German assault, the French again, as in the Noyon-Montdidier Offensive, launched a counter-barrage as German troops formed for the attack. 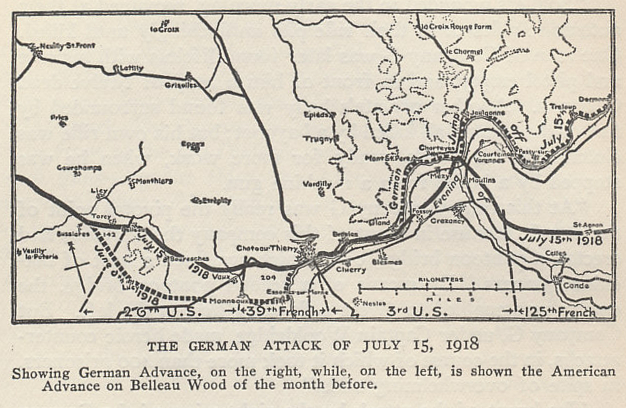 On July 15, Ludendorff struck on either side of Rheims. The assault east of Rheims ended on the first day after making little headway. Southwest of the city, the Italian divisions fell back and the Germans crossed the Marne. On July 17, Foch brought the French Ninth Army under Mitry into the battle, moving against the German advance from the Marne. The American Third Division anchored the French left wing, and held its ground. Between the Americans and Rheims, the French fell back, luring the Germans forward. Champagne-Marne Offensive is part of Germany's 1918 Offensives on the Western Front.